Technology seems to advance increasingly more every day and this is no longer an enigma. Especially in terms of handset manufacturers. From size and color to memory and applications available, a modern phone should fulfill all of the possible buyers’ demands. A manufacturer from China, Gionee, announced its new smartphone Elife E7, which argues that it have the best camera of all phones using the Android operating system. The smartphone has a nice design and comes with a 5.5 inch JDI screen at 1920x1080p meaning an impressive density of pixels per inch which is about 401. The screen is protected by Gorilla Glass 3. Inside we find a Snapdragon 800 with a processor quad-core at 2.2 GHz. There is also a 4G model of the smartphone which has a processor at the frequency of 2.5 GHz. New Elife E7 has 2 GB of RAM for that with the model with 16GB storage space and 3 GB of RAM for that with 32 GB. Chinese manufacturer boasts that his new gadget impresses on the side of his camera. It has a 16MP main camera based on a solution Largan M8 and one on a secondary of 8MP. The battery is for 2500mAh. The smartphone comes with AMIGO 2.0, a highly customized Android that has a lot of applications to increase the device performance. The smartphone will be launched on December 5 and will be available in a variety of colors. The version with 16GB will cost the equivalent of 440 dollars and the other one 525 dollars. 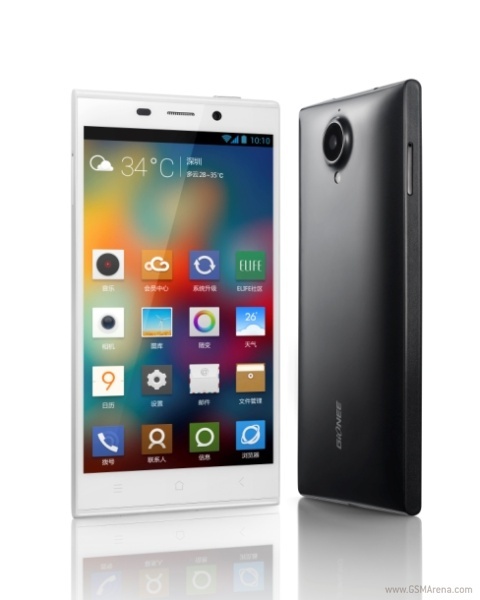 According to the manufacturer new Gionee Elife E7 will be in stores early next year. What is your opinion about this phone? Do not hesitate to share your opinion and leave us a comment.